Seasonal rogue runoff crossing the Rattlesnake Cutoff trail. Whether it is related to global warming or not, California seems to go from one extreme to another. Years of punishing drought have given way to one of the wettest winters we’ve seen in a long time. The drought is officially over for northern California, but in so doing it is making amphibians of us all. The average annual rainfall for Sonoma is 31.49 inches. As of today we are at 37.71 inches with more on the way. The trails take a beating from this much wet. Water often courses down sections of trail, eroding soil needed to make a smooth trail. 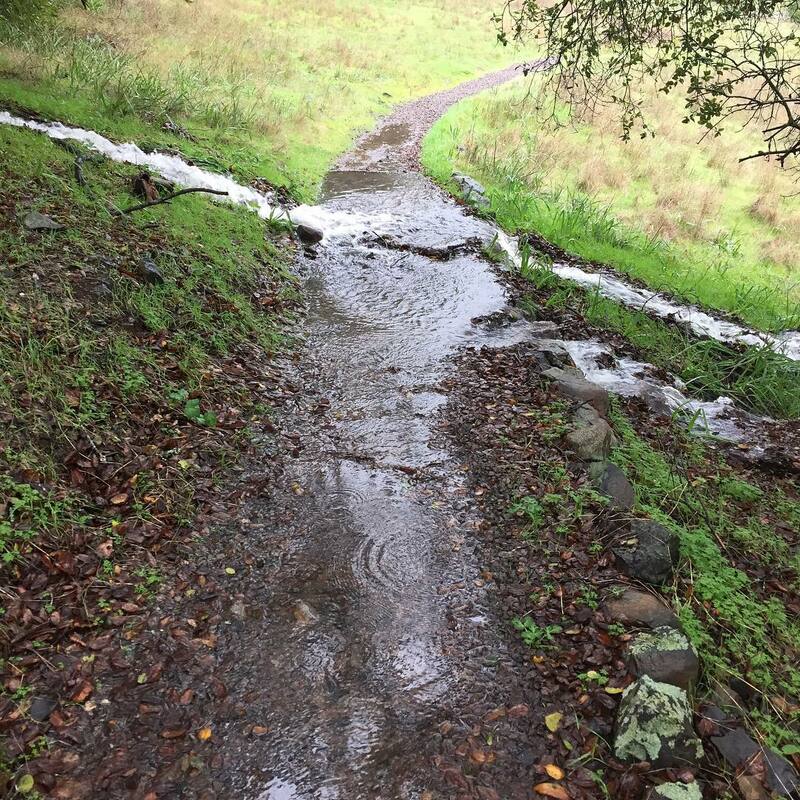 Puddles create mud that hikers walk through which can also tear up the trail. This year on the Rattlesnake Cutoff trail on the Montini Preserve a new seasonal runoff channel has cut directly across the trail with pools beside it (see picture). Clearly we will need to address this next summer. Having said all that, we needed to have a year that well and truly broke our multi-year drought, and we certainly got it. It would just be nice if it didn’t also mean mudslides, road closures, and un-hikable sections of trail.